We are dedicated to managing and disposing of our client’s trash in Central New Jersey in a responsible and professional manner. Are you moving in the Central New Jersey region and need to get rid of some junk? Maybe you have a pile of rubbish around your home or office. Or maybe you have a lot of junk from your renovation project or construction clean up. Bin There Dump That provides junk and rubbish removal bins sizes 4 to 20 yards. No matter how much or how little junk or rubbish you have to get rid of, we have a bin or dumpster for you. 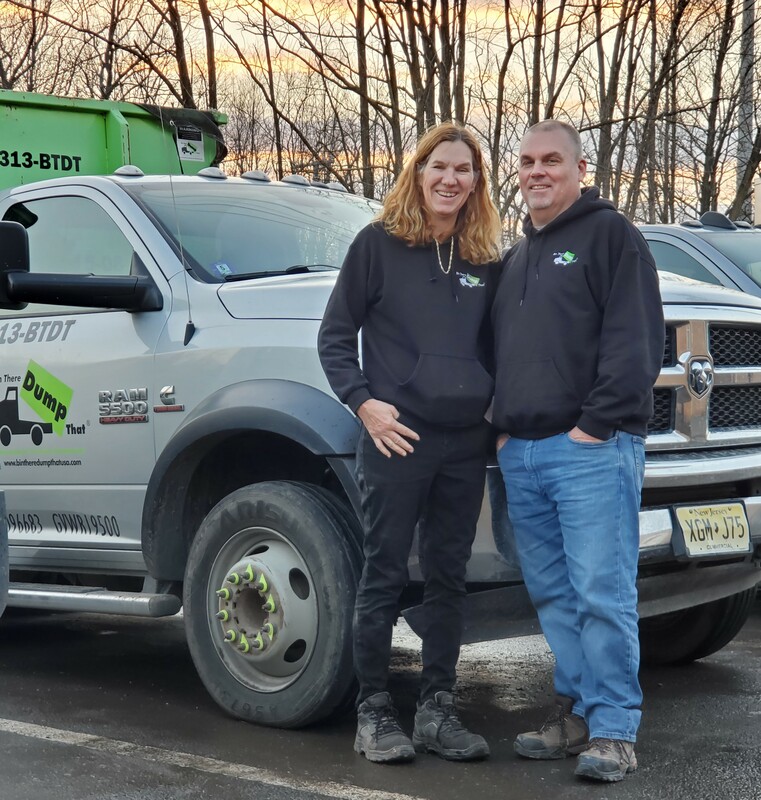 Your local Central New Jersey dumpster rental operators are Danny & Karen Aller. Middlesex County - Edison, Metuchen, Piscataway, New Brunswick, East Brunswick, North Brunswick, South Brunswick, Sayreville, Perth Amboy, Woodbridge, South Plainfield, Dunellen, Milltown, Cranbury, Jamesburg, Carteret, Spotswood, Princeton Meadows, South Amboy, South River, Old Bridge, Monroe.